Soundgraph offers the perfect wireless solution for the home theater. The symbiosis between hard- and software make the handling of music, videos or pictures possible without having to use traditional means like mouse and keyboard. 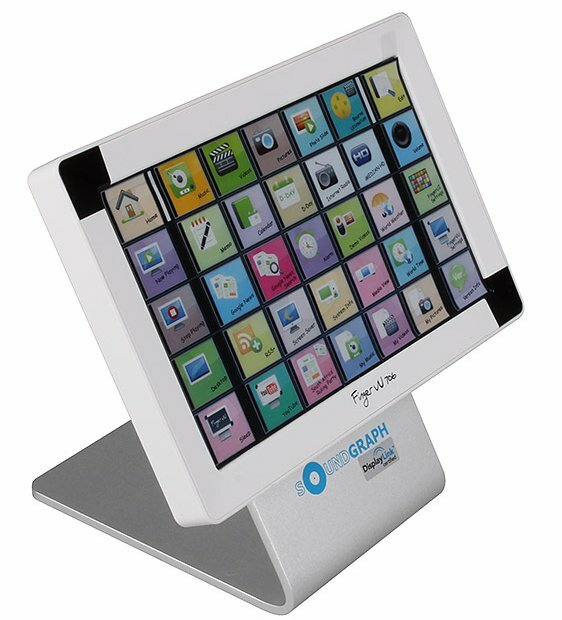 The FingerUI software from Soundgraph enables the control over the wireless FingerVU touch screen without taking away focus away from the host PC. Thus the PC can be used to write emails with a normal input device, while playing back your favorite music or video interdependently at the same time. The computer is without a doubt the most versatile multimedia platform, thus HTPCs are becoming commonplace in the modern living room. The input and control of this media center however, always turns out the be too complicated or restrictive when using a normal keyboard and mouse combination. Soundgraph has specialized in this area and offer a variety of viable options for different scenarios. With the FingerVU touchscreens the specialist from Korea not only offers wireless peripherals but also ships potent and high quality software, allowing to turn any PC into a HTPC. Due to the unique aspect of these applications, the focus of the mouse stays on the main screen of the host PC, even when using the separate FingerVU Touchscreen. This allows for two people to use the entire system, as one can surf the web or write emails, while the other views HD media on the wireless touchscreen. With the Hummin' 3.03 Soundgraph offers the perfect HTPC for multimedia applications. The stylish chassis with installed iMon controls and remote along with a dual docking station for the FingerVU 1016 touchscreen. The outer shell of the chassis is made of a single piece of thick, U-shaped Aluminum. This give the chassis an unprecedented quality to it, showing the dedication to the brand to offer the best in HTPC. While the chassis may look unorthodox at first sight, the shape enables valuable functionality, as you may be able to slide the FingerVU 1016 touch screen in the front or across the top of the chassis. In combination with the wireless USB dongles, the display can be used effortlessly from the comfort of your couch, without having to worry about any cables. But even without the touchscreen, the Hummin' 3.03 is a unique an versatile chassis. The included remote control allows for easy access to the media stored on the system thanks to the capable iMon software suite. It offers support for a wide range of applications like Winamp, iTunes, PowerDVD and Powerpoint as well as RSS feeds and streaming services. 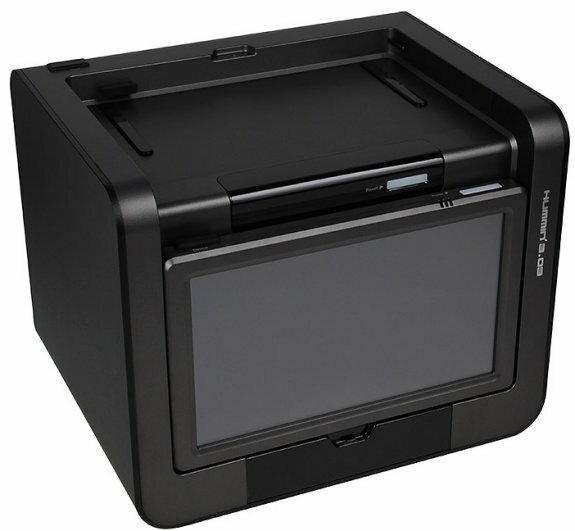 There are two 5.25 inch bays in the front, allowing the installation of a Blu-ray or DVD drive. Below that is a 3.5 inch hot-swap bay, giving you the ability to easily transfer your existing media by simply sliding the SATA based hard drive into the slot. An additional, internal system drive may be installed in the interior of the Hummin' 3.03, while there is space for a Mini-ITX on the floor of the chassis. Soundgraph also includes a Micro ATX power supply, potent enough for modern components, while an 80 mm fan in the rear keeps the interior parts cool. The built-in IR receiver is wired in a specific way, allowing you to turn the unit on or off with the included remote control. To round things up, an I/O panel with an versatile card reader has also been embedded in the front of the chassis. The products from Soundgraph will be available immediately from Soundgraph on www.caseking.de. An overview of their products can be found under http://www.caseking.de/soundgraph.